Posted On February 27, 2017 by Team iCynosure. As Nilesh and me, we both long extremely long hours, and blogging takes up a considerable amount of my time; we find it extremely hard to plan our holidays. Thus when we come across any opportunity for a quick getaway we don’t think twice. Many times we tend to take busy holidays with a long list of must-visit locations and a must-do list of things, that we end up needing yet another holiday. This time as we were in Malaysia for our work commitment at the same time, we went to the beautiful Heritage City of Melaka (Malacca City) and spend some quiet days in the gorgeous Holiday Inn Melaka. The weather in Malacca is hot and humid throughout the year with spurts of rainfall between October and March making it an all-year travel destination. The average temperature ranges between 30°C - 35°C during the day and 27°C - 29°C at night. The weather is relatively warm during the day, so light clothing is recommended while it becomes cooler in the evenings and so a light stole or jacket is essential. As a popular tourist destination, Malacca is well-connected by air and by road. The city also has immense provisions for local travel, where visitors have the option of renting private cabs or choosing from buses and taxis to the traditional trishaws to move around. 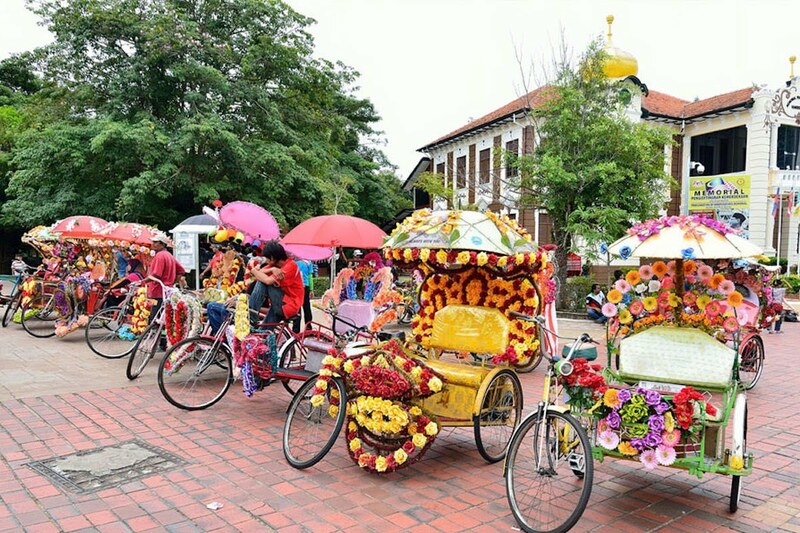 One of the must-do things in Malacca is to take a trishaw ride that will put you in direct contact with a puller who is also a knowledgeable tour guide and knows the best places to visit. 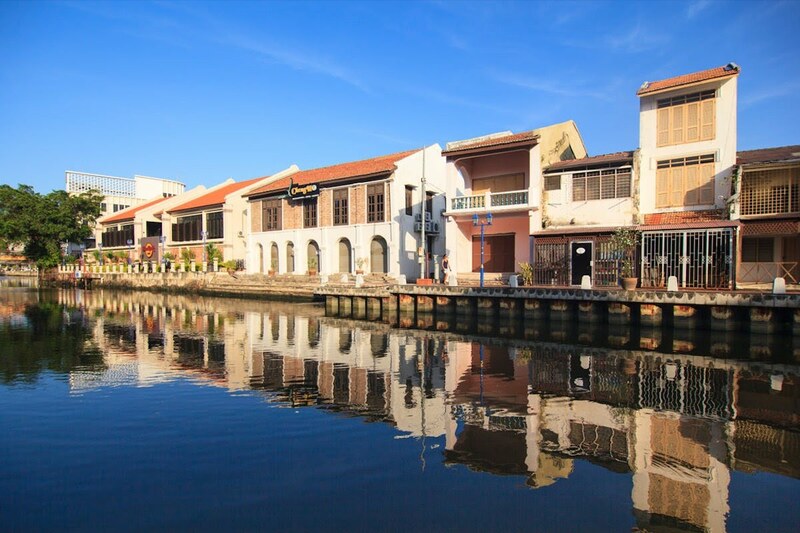 Planning a weekend in Malacca can be a daunting task as the quaint city offers an abundance of breathtaking sights and rich cultural heritage. From an array of old and new, from historical establishments and old shops to modern architecture and shopping complexes, from recreational forests, animal parks to golf and jungle-trekking, from beaches and islands to theme parks; there is a lot of travellers can choose from. Numerous sites offer tours at low prices and fast and easy booking options. Accommodation options in Malacca cater to all kinds of travellers, with quality hotels that fit every need and budget. The hotels offer excellent services and facilities that will ensure the perfect holiday tourists are seeking. We booked our hotel the Holiday Inn Melaka that is centrally located and offers a great view of the Straits of Malacca, through Traveloka at the best rates with a host of other benefits thrown in. However, travellers have an option to choose from the most luxurious hotels to affordable family and boutique hotels. After we did our homework about the city, one thing we knew was that we wanted our holiday to be relatively quiet and relaxing. The award-winning hotel Holiday Inn Melaka priced to be a perfect location for its contemporary setting with a gorgeous infinity pool complemented by a picturesque view of the coastline and the peaceful Tea Tree Spa to indulge and pamper yourself with a wide range of decadent treatment options. The best part about staying at the Holiday Inn Melaka is that it is strategically situated in the middle of the city and is within walking distance from some of the tourist attractions while the hotel provides a free shuttle to a number of attractions. We enjoyed our walks to the Portuguese Square, Taming Sari Tower and the main shopping areas of Mahkota Parade and Hatten Square. So no matter what trip your taking to Melaka, make sure you spare a few days to relax and rejuvenate in the gorgeous city.